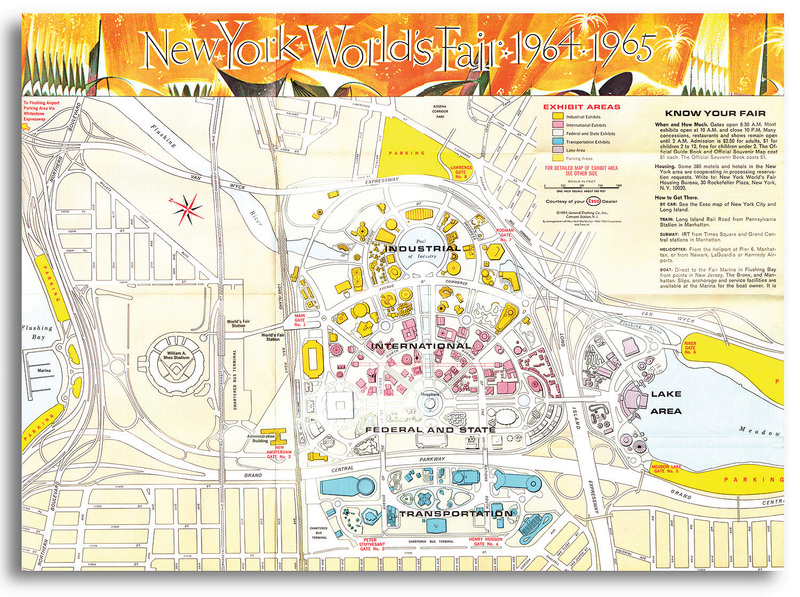 Most of the 1964-65 World's Fair took place in what is now Flushing Meadows Corona Park in Queens. 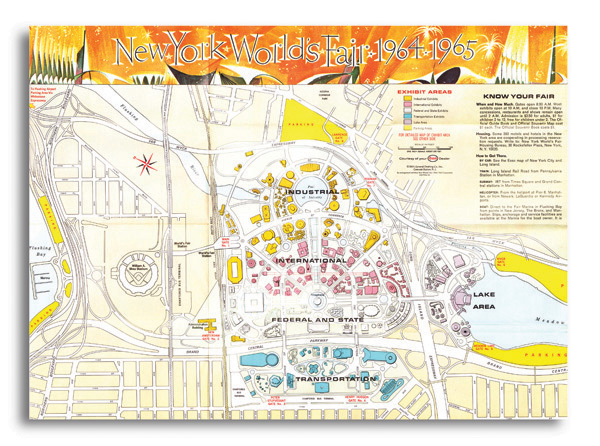 You've probably seen the Unisphere, the New York State Pavilion, and other famous holdovers that were left standing after the Fair. 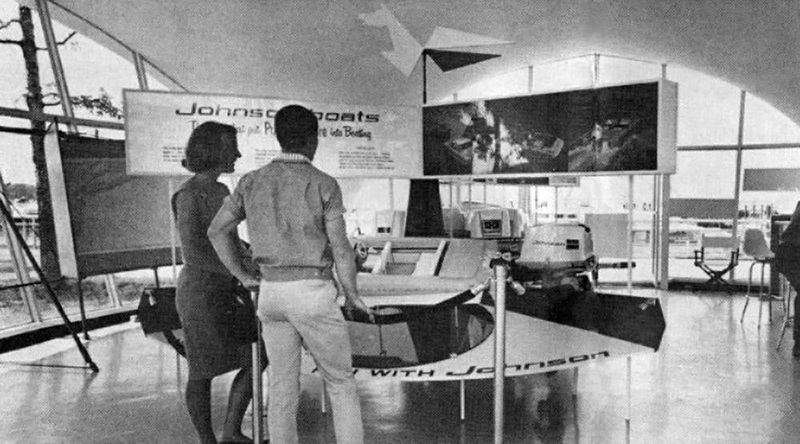 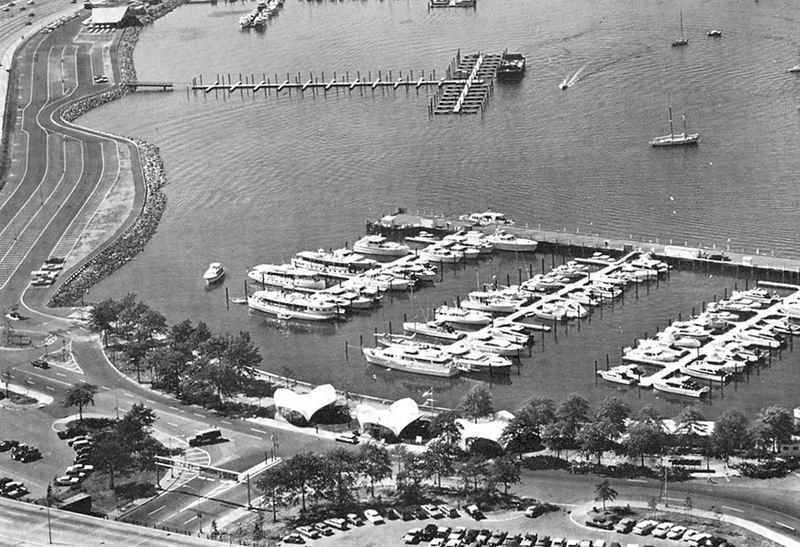 A mile away, however, the Fair had a lesser-known component: the World's Fair Marina, which allowed boaters to attend the Fair and dock their vessels in Flushing Bay. It was here, on the Marina's waterfront, that three small, vaguely futurist-looking ﬁberglass buildings were assembled. 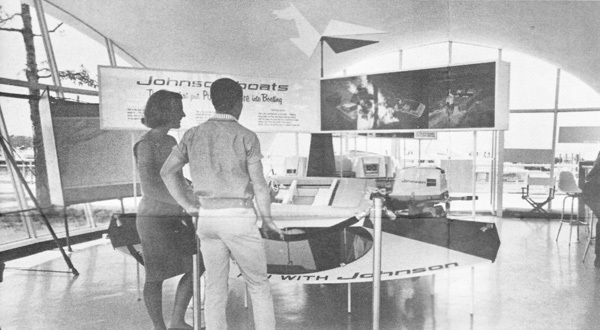 One was used as a Coast Guard pavilion; the other two housed exhibits by Johnson Motors and Evinrude Motors. 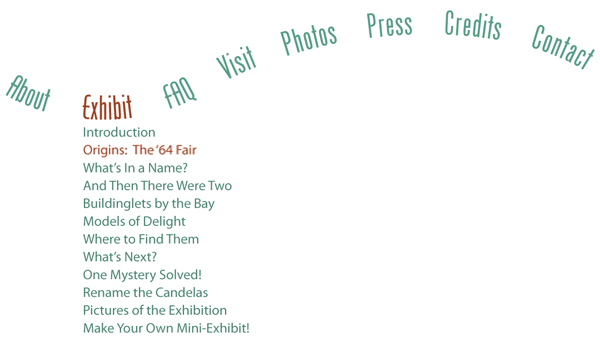 Photographs of the structures from this period are rare, and most of them don't show all three pavilions (for a long time we weren't sure there had even been a third one). 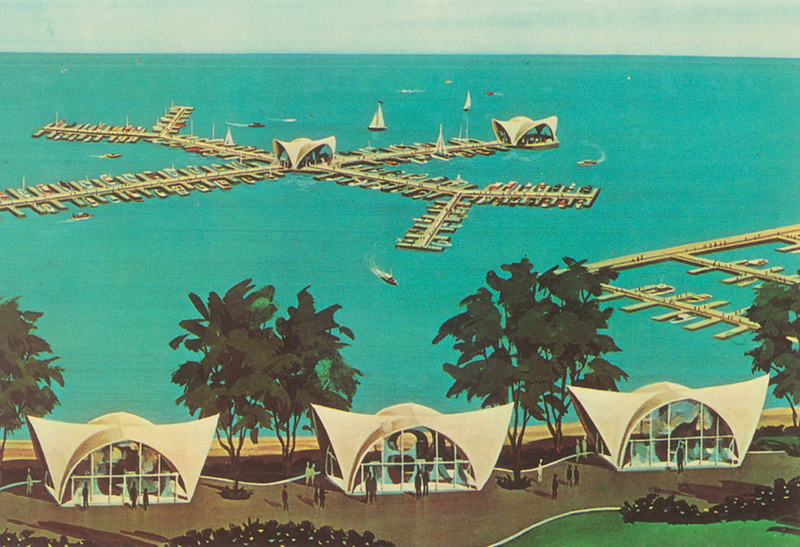 There are also several illustrations indicating that additional structures were planned for the Marina's docks. 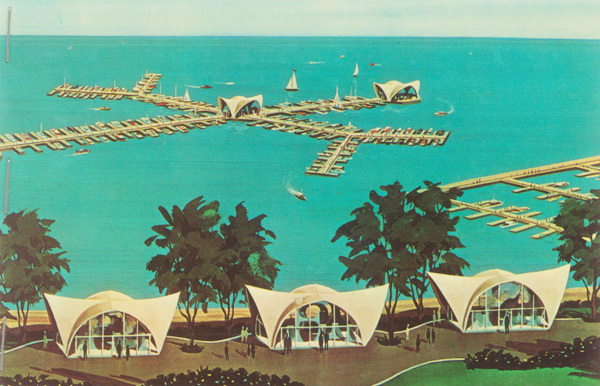 These were never built, but the illustrations have circulated among World's Fair enthusiasts over the years, leading to confusion and erroneous claims about the structures' history.